Leah's Tale is rated 4.2 out of 5 by 14. Rated 5 out of 5 by mrzb3 from Loved playing this game! I love games like this. Very action packed and challenging. I spent days trying to beat the game. The story line was a good one and you will have many hours of good fun. Rated 5 out of 5 by Crickettt from Many hours of fun await you.. I think this is my very favorite RPG game, so far. It did not have things that I disliked in others. It had no great trouble traveling around. You did not have to keep finding a boat or anything. It had bad things to fight, and side quests--some you may fail to find, but there were no top secret rooms, and the play was quite straightforward. This is NOT to say I did not get stumped a few times, and aggravated a few times by not finding something, but altogether this game was a delight to play. I used the forum a LOT with it, but that was fun, too. The game takes many hours to finish and is very satisfying when you do. There were no puzzles where you had to click fast or you lose, which is a plus for me, because I never could type. It was also not a really DARK game, but humorous and just plain DAYS of enjoyment. I am sorry it is over. Truly a hoot. Rated 5 out of 5 by Imandra from Thank you for 13 hours entertainment Although my time is strictly limited I played the game in the meantime twice. The story around Leah is brilliant with some interesting turnings. Every RPG lover will enjoy this game! The ending was a bit unsatisfying but who knows - maybe there's more to come? Rated 5 out of 5 by leilanibz from Excellent game! This review is based upon the entire game. This is the RPG genre that many of us RPG'iers LOVE and scour the internet for. What differentiates a game is whether it has enough game play and gimmicks to make us feel as if we spent our money wisely. This game succeeds in both areas. The look and feel is a standard RPG look and feel. Characters are icons that travel around a map. You use the mouse or space bar to search areas for treasure or hidden items. Most games change the mouse icon to indicate a hot spot, but this game does not, which makes it a bit harder to identify secret locations. You have to keep on your toes and click on everything. The storyline is interesting and different from other storylines in similar games. Your character is kidnapped at a young age and raised among strangers. As a teenager she finally is freed from her captors and the adventure progresses from there. Along the way, she meets many people and has the opportunity to help others out in the form of numerous side quests. Some of those quests have a morality factor in them that influence the success of your character later on. The game took me well over 20 hours of game play to complete the game, and I did not succeed at completing all quests, so I will be playing the game through a second time. The only grouch I had with the game was that I found the effects after a fight annoying and could not disable those. I do not care for music during my gameplay, and I always turn it off. I could not turn off that sound clip and it became so repetitive that I eventually turned sound off all together. However, it was a small thing, and did not detract from the game. The combination of storyline and game mechanics along with game complexity make this an excellent game. It is well worth the money spent and I highly recommend it. Rated 5 out of 5 by GailFP from A new take on an old genre This game is not a run of the mill RPG. It has simple gameplay that does not become dull and shorter dungeons that don't become boring. This leaves the player free to enjoy both gameplay and story without distraction. I especially appreciate the signposts. 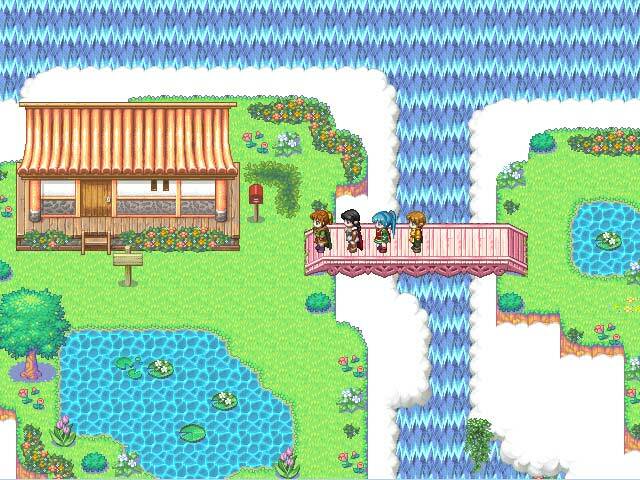 The character sprites are beautiful and the music engaging. The storyline is full of twists and turns, with surprises in store and a mystery for the game characters and the player. There is a fun, tongue-in-cheek section that is clearer to those in the know. ;-) The game is a prequel to an earlier game, which adds an extra layer of interest. 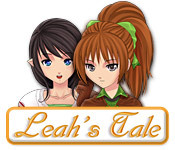 You can play Leah's Tale first, as the games are standalone. Well thought out and enjoyable. One of the few games that I may play again. 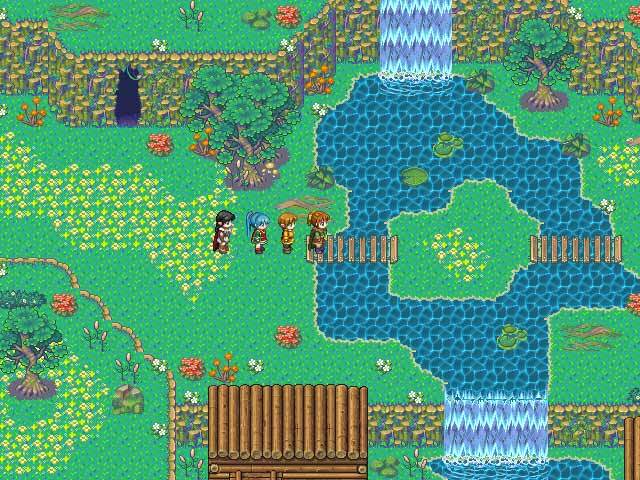 Rated 5 out of 5 by Nijimasu from Adventuresome Another decent RPG from Eridani Games, Leah's Tale has a sense of adventure like you find in the Aveyond series. Grinding is not necessary and there is a story mode if you really don't like fighting. The quests give you a lot to do while you explore the colorful and varied locales. Rated 5 out of 5 by Malo21 from A GREAT GAME All you RPGer's are gonna love this one! Its fun...its fanciful, but not complicated. I bought it when it first came out and have played thru several times. Rated 4 out of 5 by eedebeep from Still not to the Aveyond level, but fun. This is a prequel to Ella's hope, and came out after I think. On the whole Ella's Hope is the better game. This is a typical Eridani RPG. It is lots of fun, many side quests, different scenes, etc. But... you rarely get a chance to select your own party, and several times you are a party of only 2 or 3. Since you don't get to choose your party most of the time, you might have equipped a special something and now its gone until you get the player back. 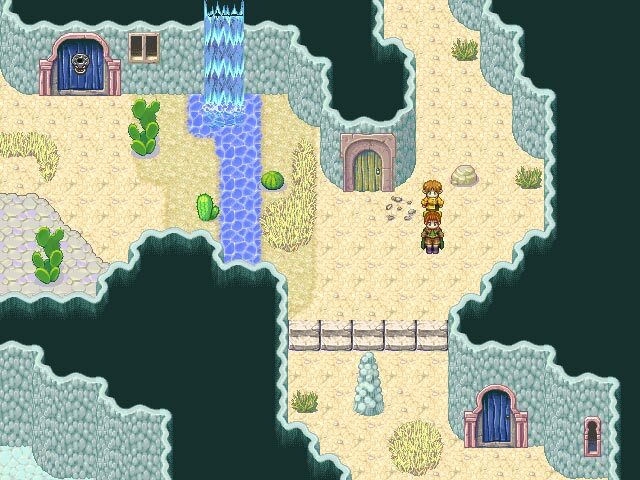 Like Ella's Hope, anyone who has played an RPG before can play this on HARD mode without a problem. Also similarly, you have to hunt out side quests and can easily miss them or miss the chance to fulfill them. At least this game has a journal listing them. 2 more issues I have with Eridani games: the spells are limited and you don't have a choice, you just get more slowly as you level up. The male characters are wimpy and effeminate, I can't imagine that most guys would want to play these games, but maybe that was the intent. Rated 4 out of 5 by Louis_789 from A good entertaining game The game is full of surprise. I really enjoy the storyline.